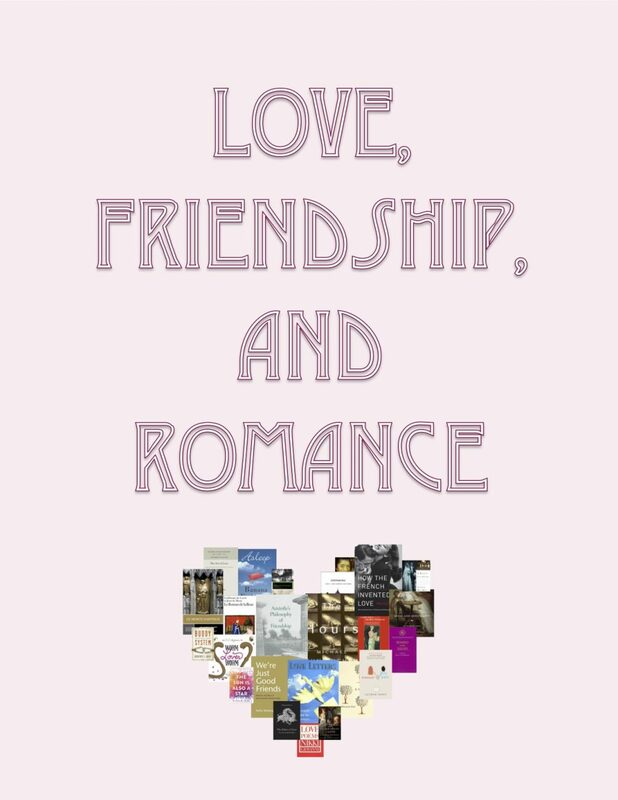 Love, Friendship, Romance — It Must Be February! When you think of February, what usually comes to mind? More often than not, it’s candy, flowers, and valentines. If that is what you think of, then this month’s book display titled, “Love, Friendship, Romance” will not be much of a surprise. This display curated by Marian Courtney, Library Operations Manager.